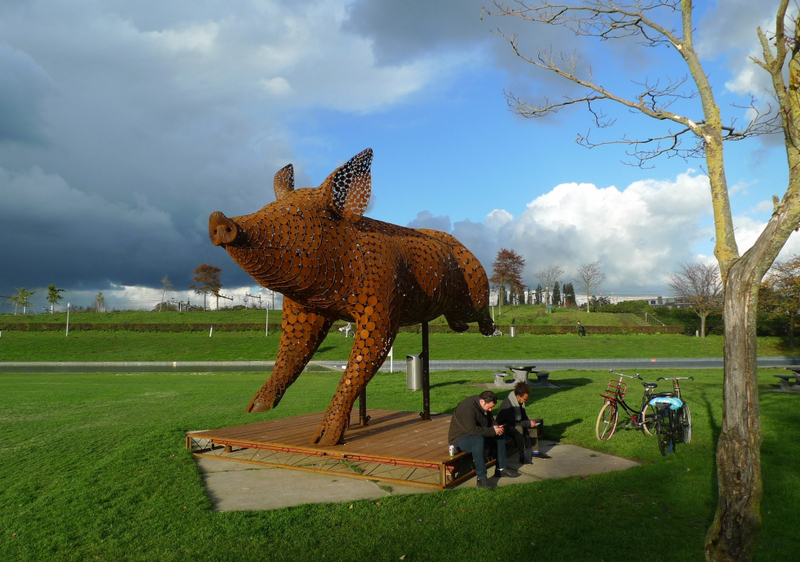 Together with my boyfriend Dirk-Jan I created the sculpture ‘Ode to the Pig’. 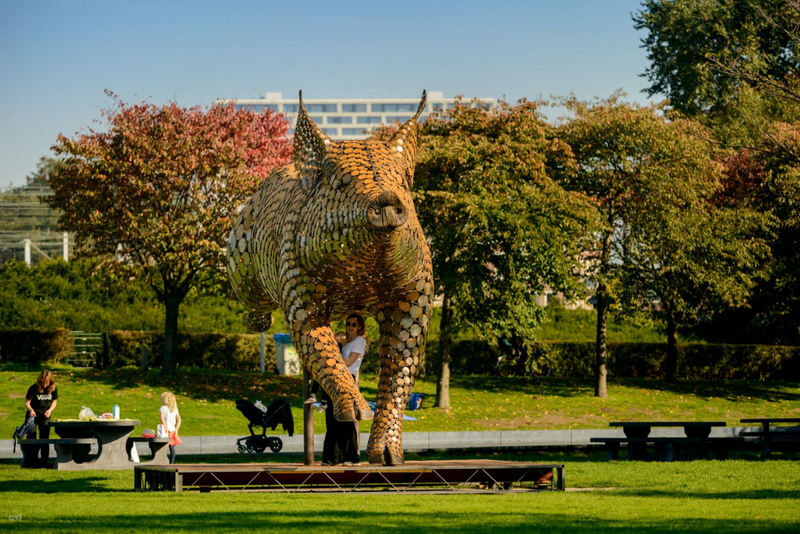 With this work I want to express the beauty and the strength of animals. 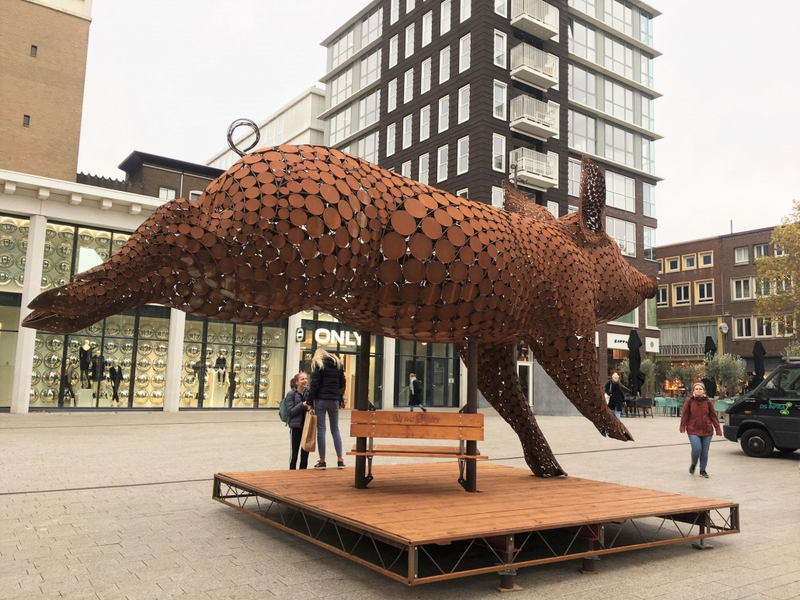 ‘The jump’ stands for joy and freedom. 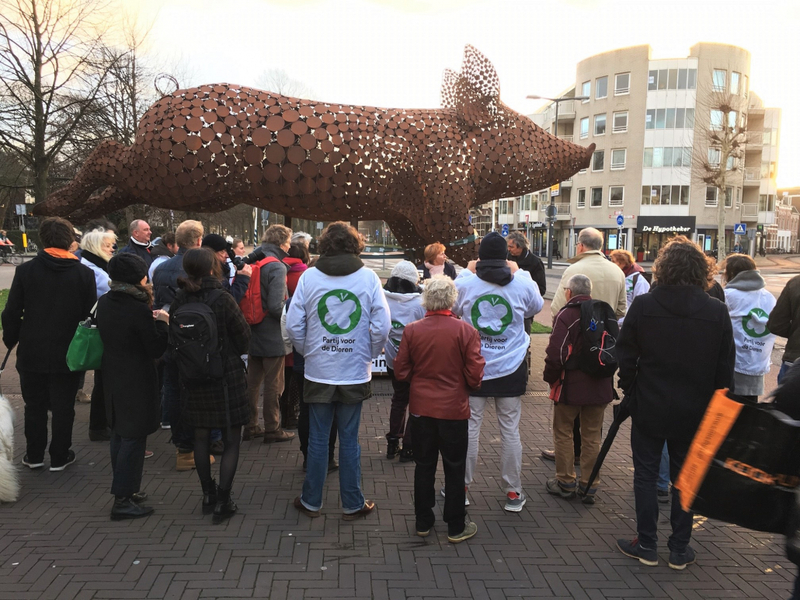 In this way, I hope people will recognise themselves instead of looking away in times of factory farming. 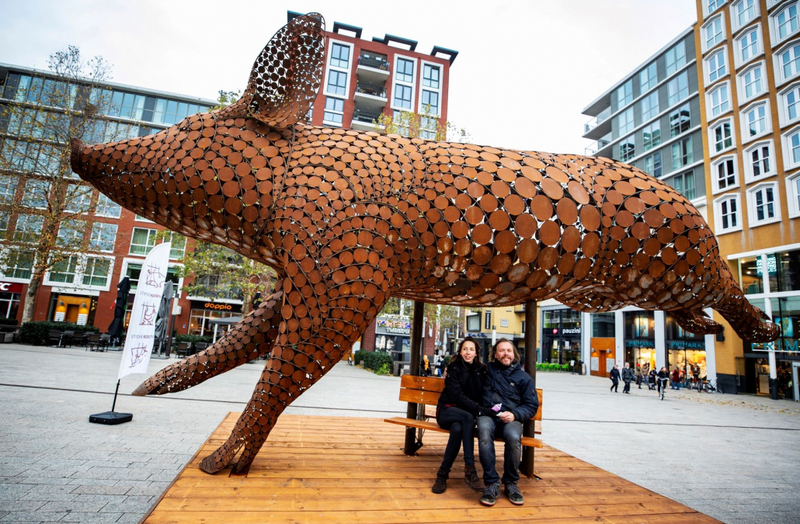 The sculpture visualizes the joy and the life’s energy that every animal has. 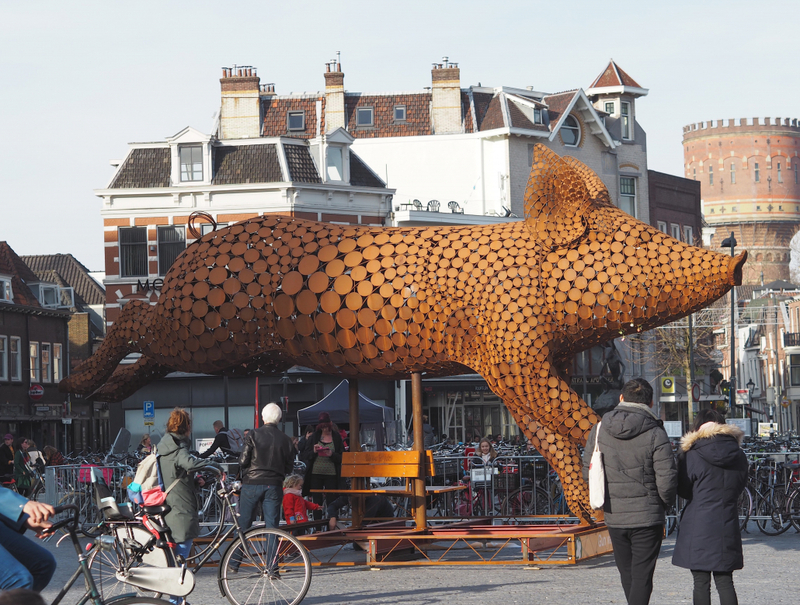 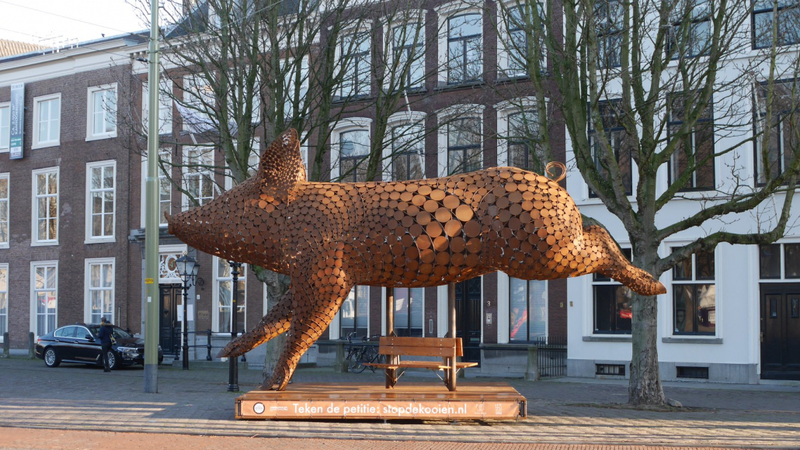 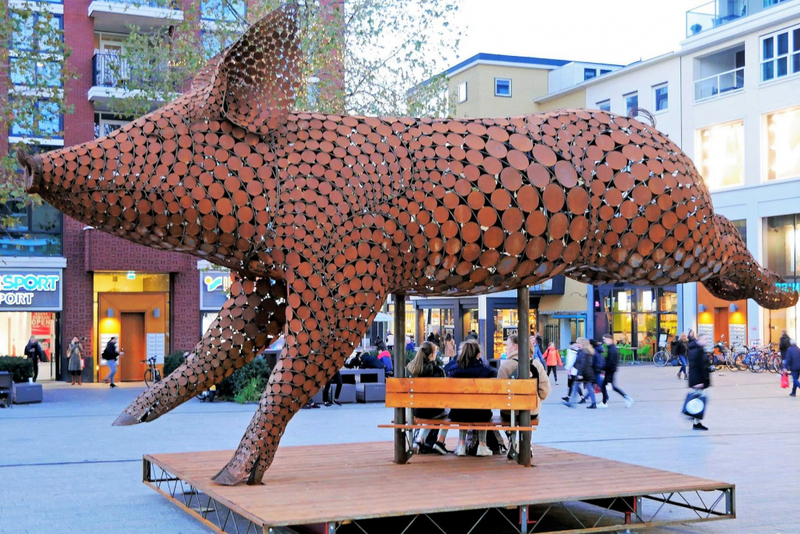 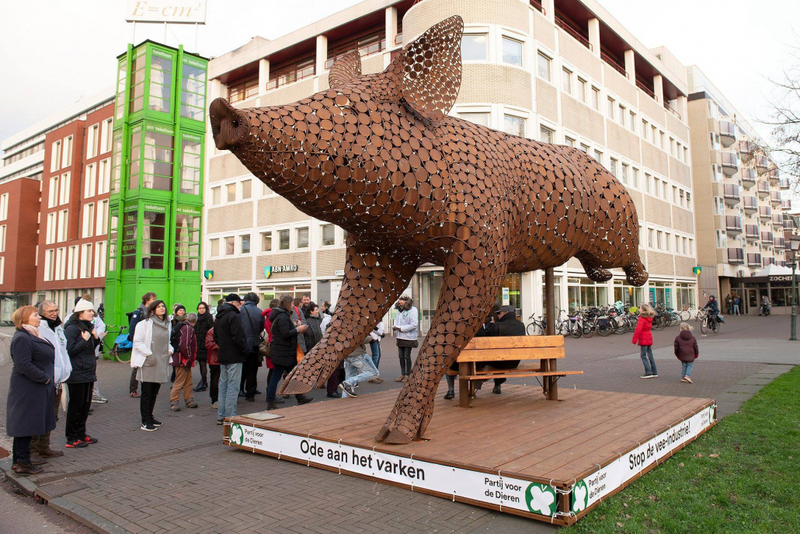 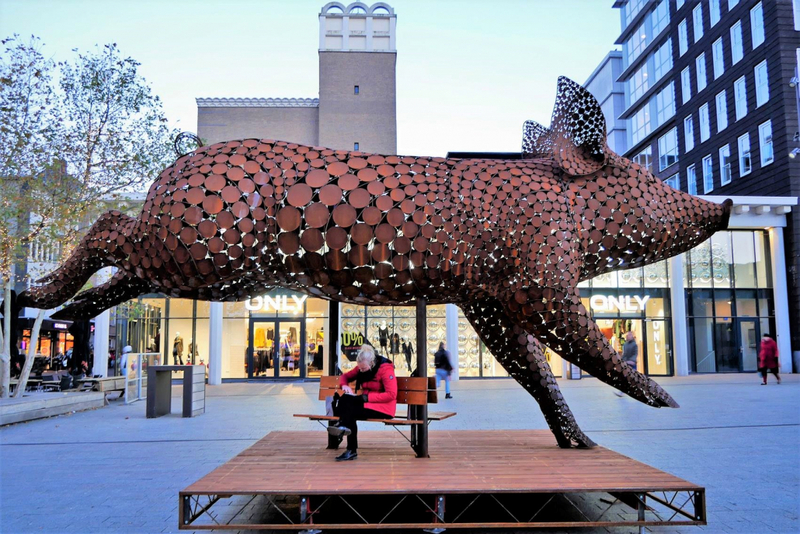 The sculpture travels through the Netherlands to be exposed in various cities where people can join the pig. 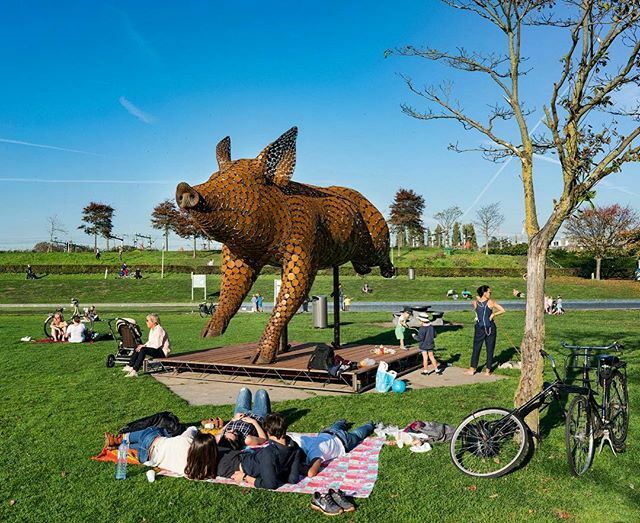 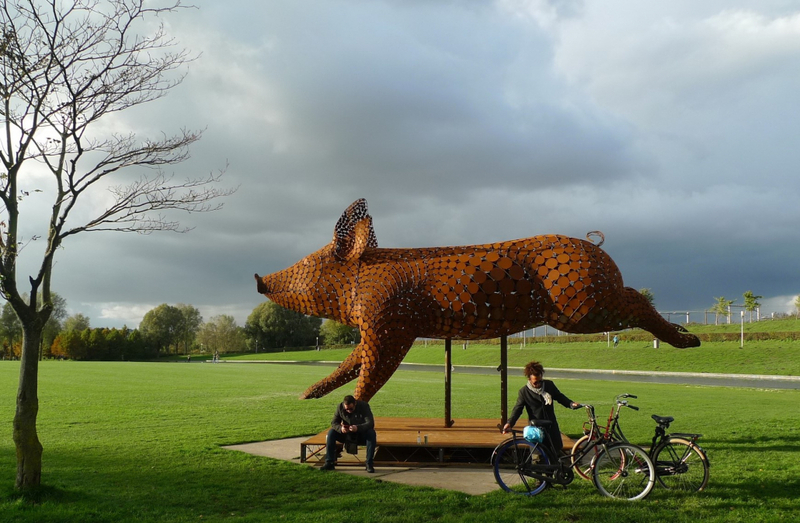 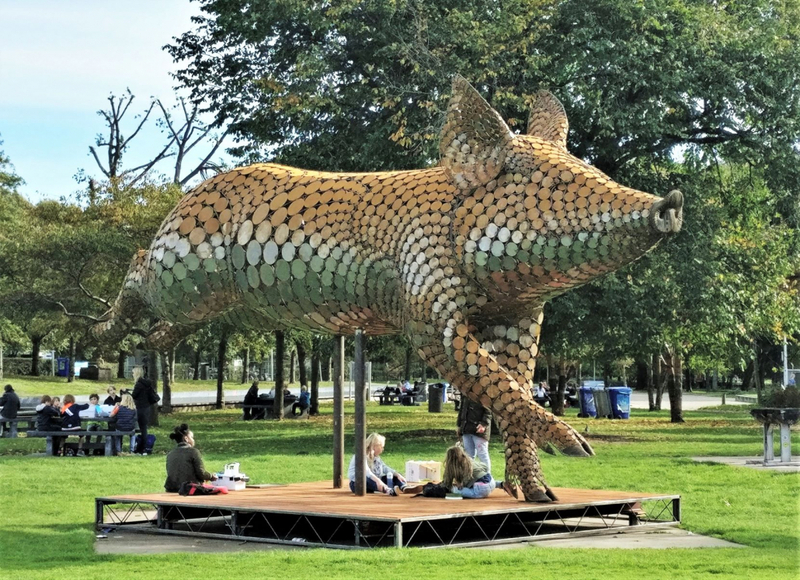 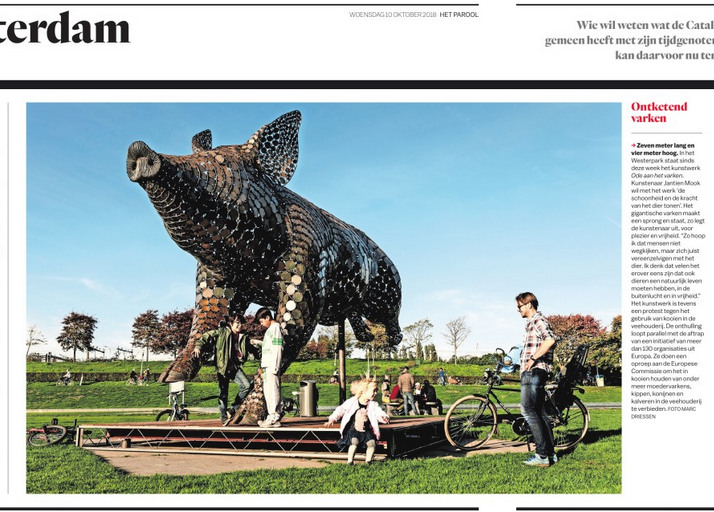 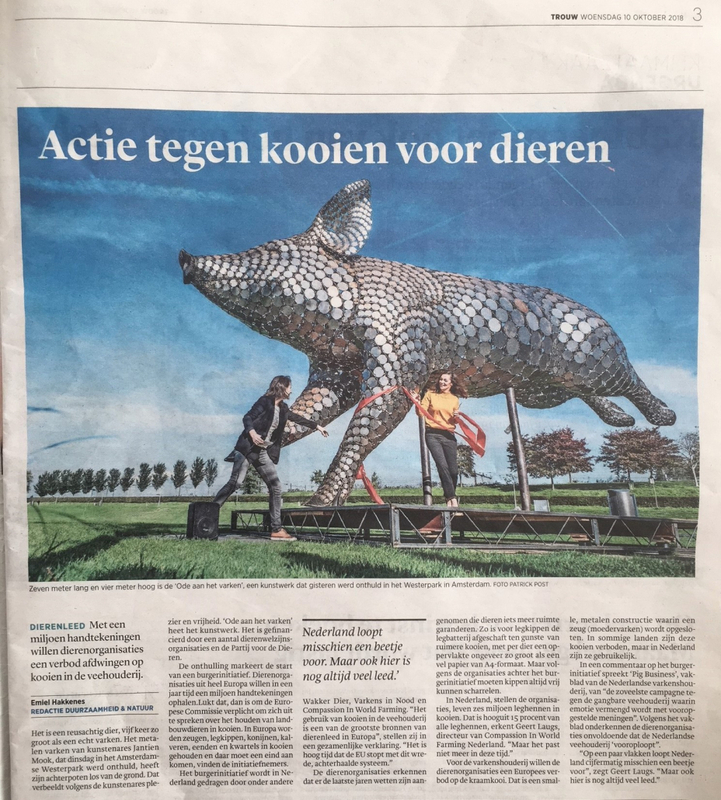 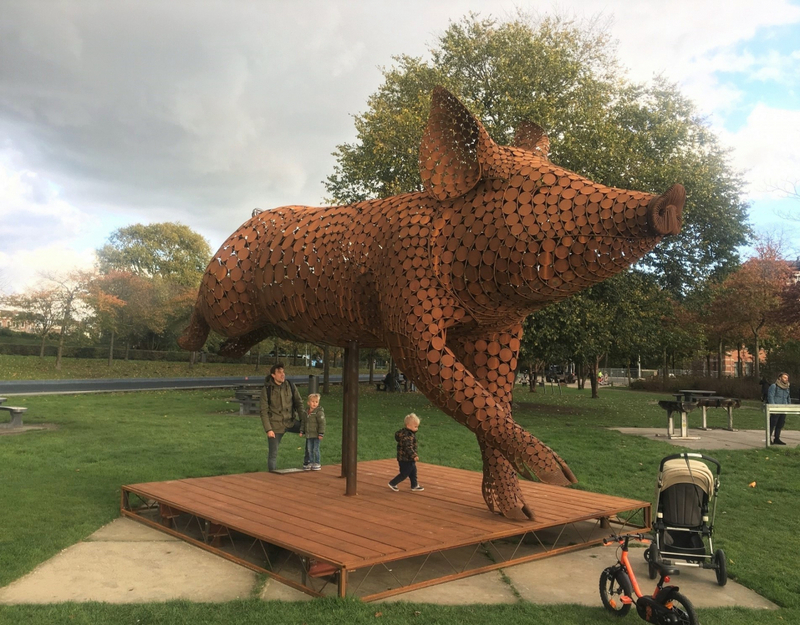 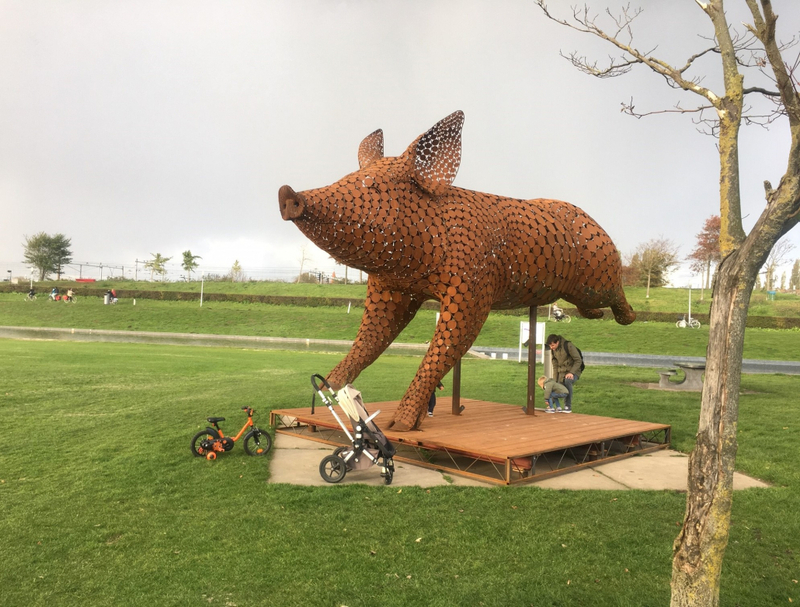 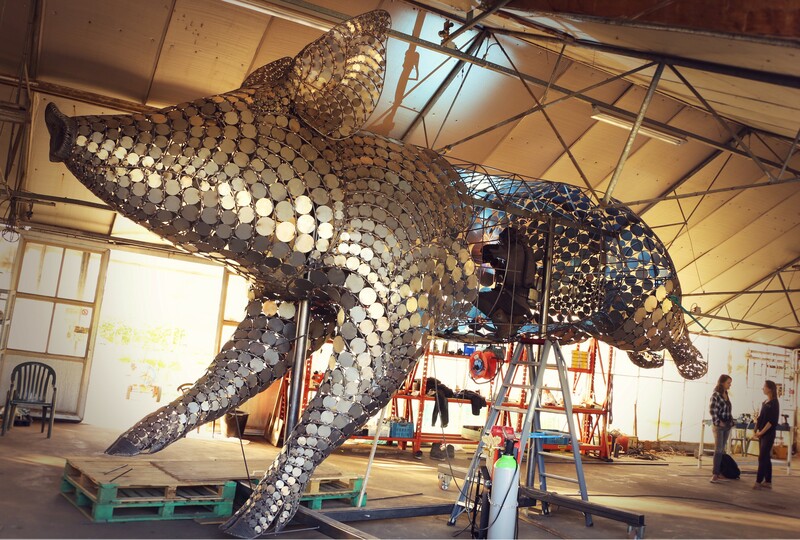 October 9th 2018 ‘Ode to the Pig’ was unveiled in the Westerpark in Amsterdam. 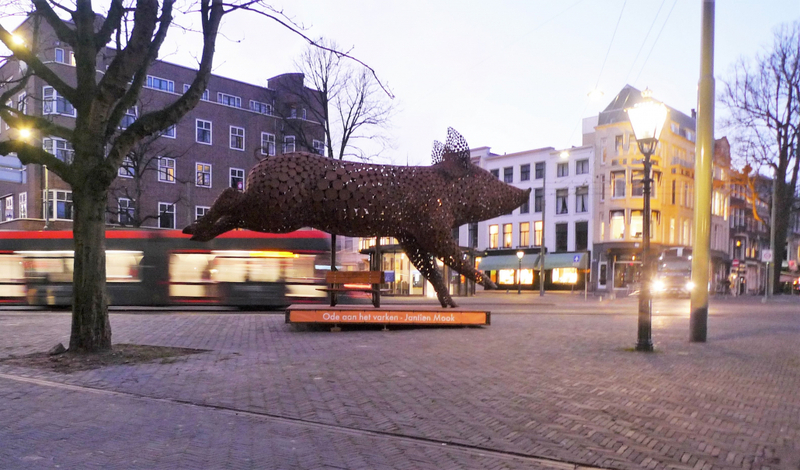 Then she travelled to Square 1944 in Nijmegen, The Hague near The Hofvijver, Houtplein in Haarlem, Eindhoven near the station, De Neude in Utrecht, Audrey Hepburn square in Arnhem. 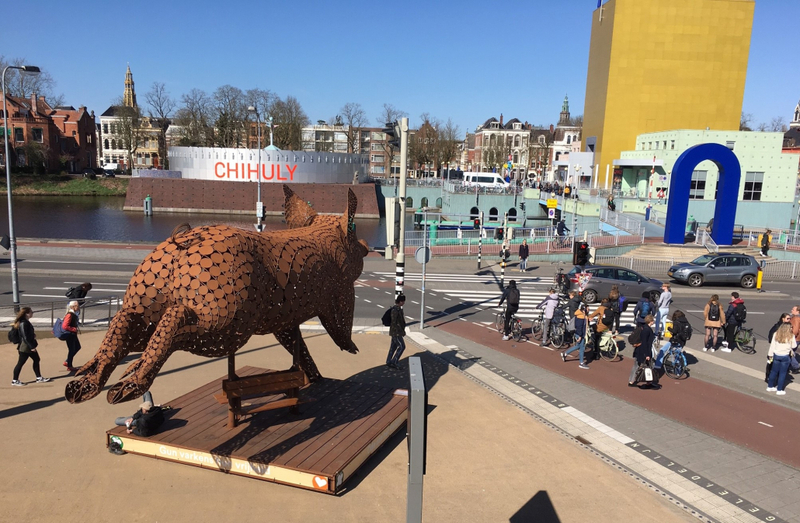 At the moment ‘Ode to the Pig’, is exposed in Groningen near the station. 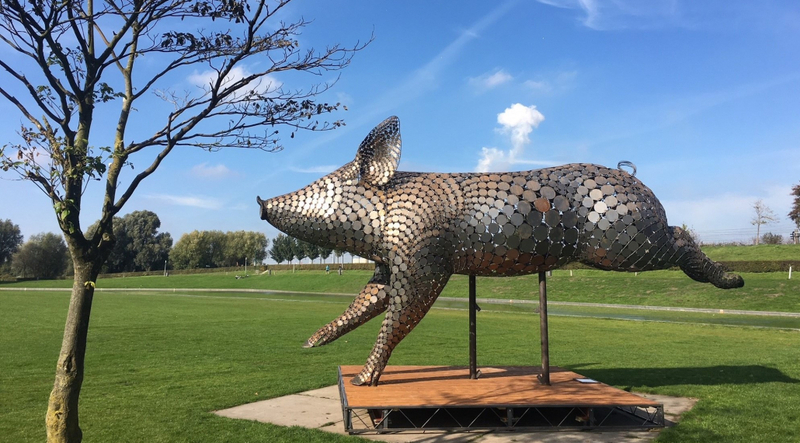 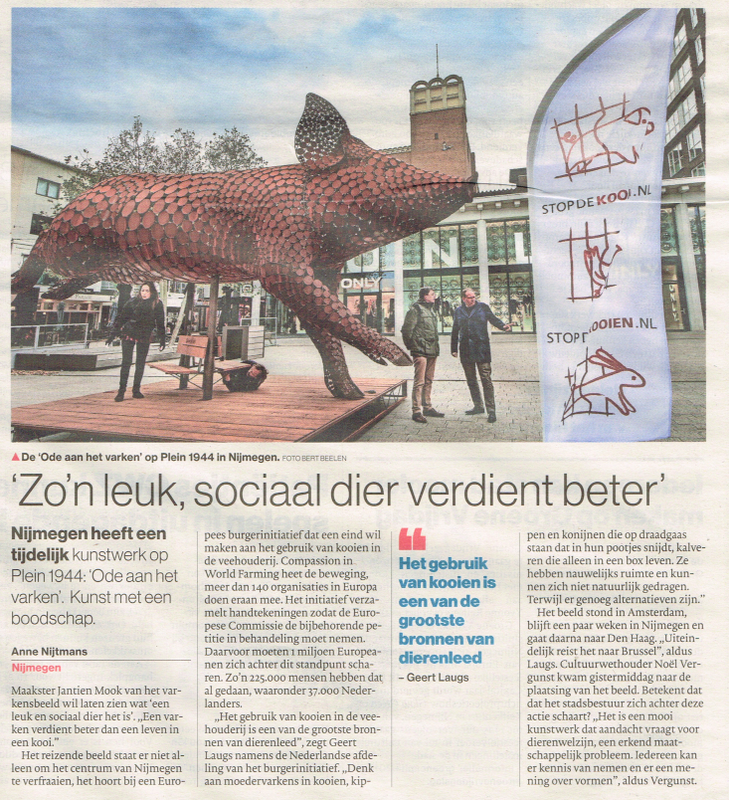 In cooperation with Varkens in Nood (Pigs in Need), Compassion in World Farming Netherlands, World Animal Protection and Partij voor de Dieren (Party for the Animals) we could realize the sculpture.